The charming Villa Hakasalmi is located next to Finlandia Hall near Töölönlahti bay. This elegant building retains a tangible sense of the Empire style era and is one of the few of its kind remaining in Helsinki. The best-known resident of Villa Hakasalmi was Aurora Karamzin (1808–1902), who lived there until her death. Because of this, the building is also referred to as the Karamzin Villa. Aurora, née Stjernvall, was a celebrated Helsinki beauty who was expected to marry into a good family. However, her life was decided when she moved to Saint Petersburg to become an imperial lady-in-waiting. There, she immersed herself into high society and married the extremely wealthy Paul Demidov in 1836 at the imperial family’s request. Their resplendent wedding was held in Helsinki. 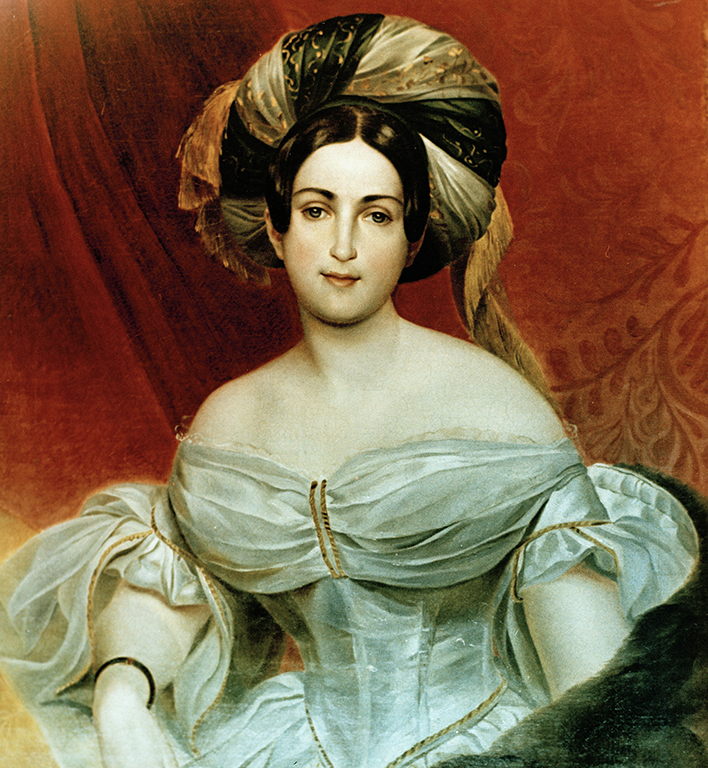 Aurora Demidova in the end of the 1830s, painted by Karl Brüllov. The couple traveled extensively, and Aurora was introduced to the political movements of Western Europe as well as philanthropy, on which the Demidovs spent a great deal of money. Their son, Paul Pavlovich, was born in 1839 in the spa town of Kissingen. Aurora’s husband died not long after the birth of their son. 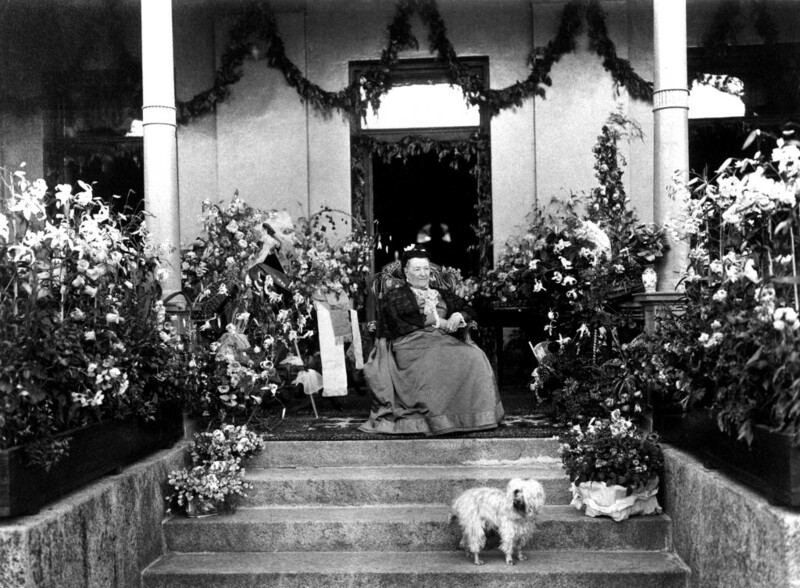 Aurora settled in Saint Petersburg, but often visited Helsinki and Espoo, where she owned the Träskända Villa. In 1846, she was remarried, this time to Colonel Andrei Karamzin. Paul Demidov had been a member of an important industrial family, whereas the family of Karamzin offered Aurora connections to the Russian intelligentsia. When Andrei Karamzin fell in the Crimean War in 1854, Aurora’s interests were increasingly directed towards religious reflection and philanthropy. In the late 19th century, the rapid growth of population in Helsinki created a number of social problems. There was no safety net offered by society; if problems arose, people were on their own. The poor relied on the charity of wealthy individuals. A soup kitchen, kindergarten for labourers’ children, a children’s home, and a housemaids’ home for girls arriving from the countryside were among the services started at Aurora’s initiative. In 1867, Aurora also established the Deaconess Institute which started its operations during the famine which taxed the strength of the country. In 1875, Aurora settled permanently in Helsinki, but maintained a close relationship with the imperial family until her death. 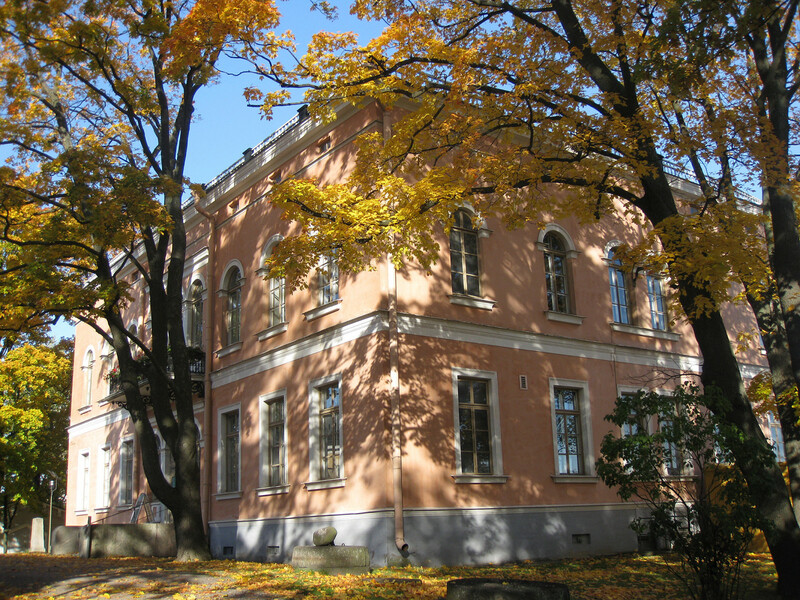 Aurora’s home in Helsinki was Villa Hakasalmi. The villa, the construction of which was completed in 1846, was built by Aurora’s stepfather, Carl Johan Walleen. The city purchased the villa and its adjoining buildings in 1896, but Aurora resided there until her death. The City Museum has operated in the villa since 1912. The museum’s collections include some remnants of Aurora’s life, such as her travel samovar, a replica of the famous Le Grand Sancy diamond, and an imposing baroque cabinet. 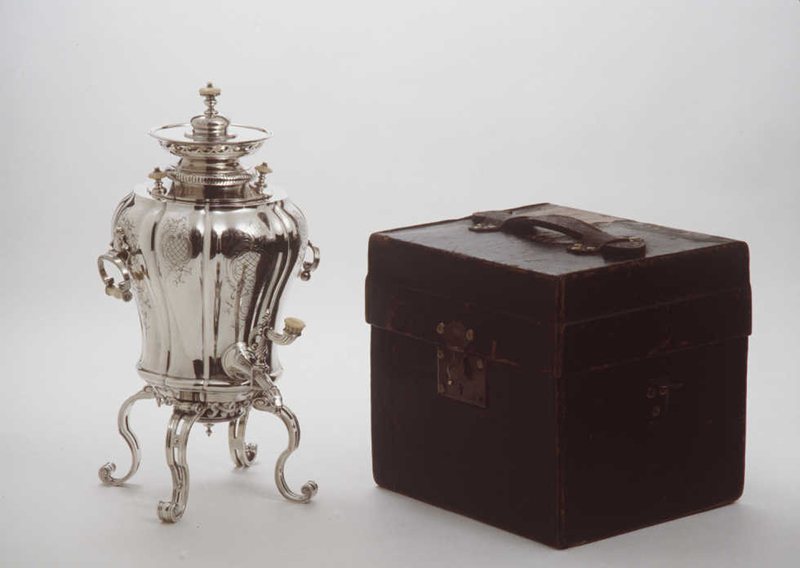 The travel samovar used by Aurora Karamzin from the Helsinki City Museum collections.